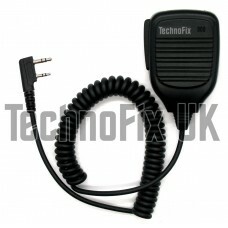 A robust, high quality speaker microphone for use with UHF (70cm) DMR hand-held transceivers from Hytera, TYT, Retevis etc. 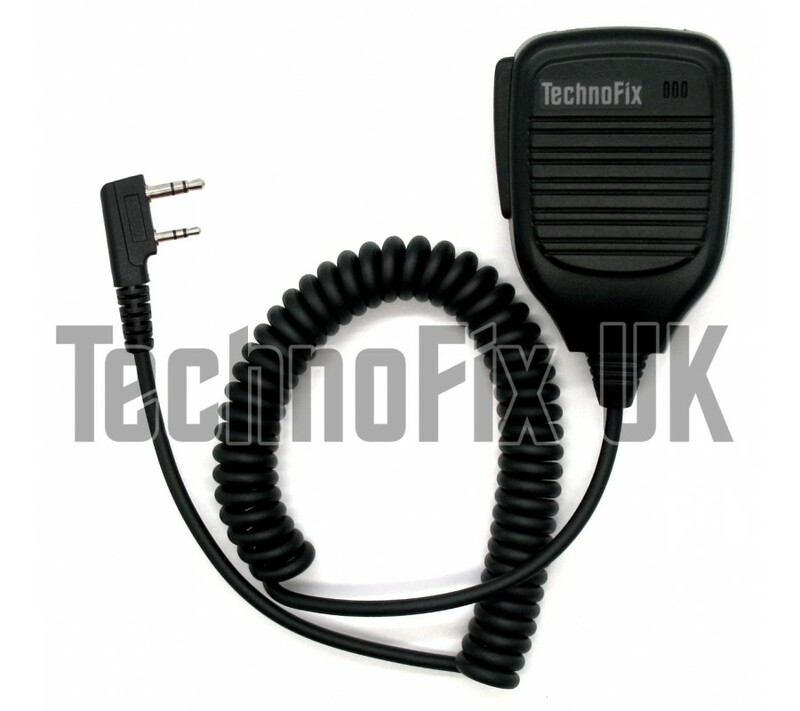 with Kenwood style twin jack connector. Suits MD-380, MD-390, RT-3, RT-8 and many more. 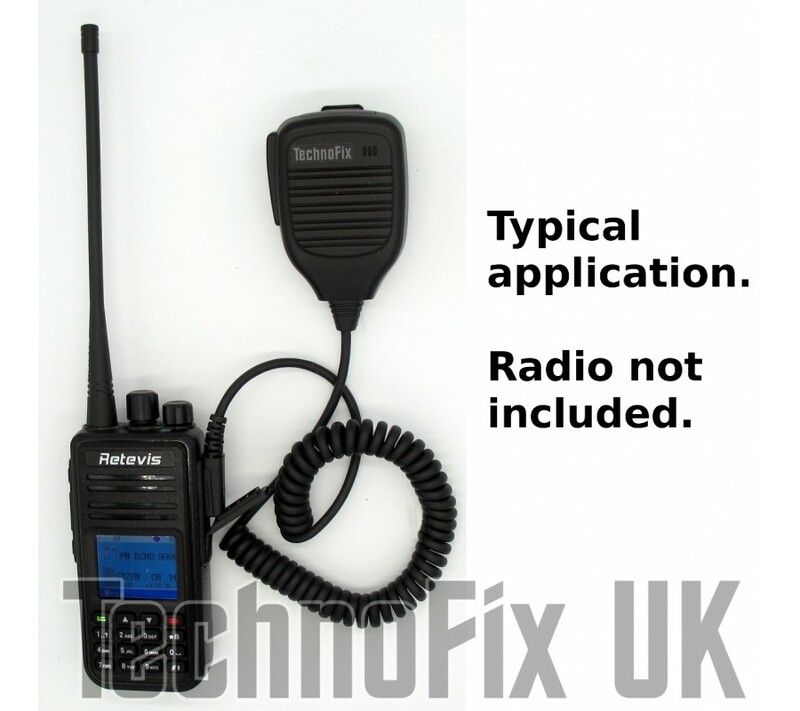 Our exclusive design features extra filtering to eliminate RF breakthrough or 'motorboating', a common problem when using external speaker-mikes with DMR hand-held radios. 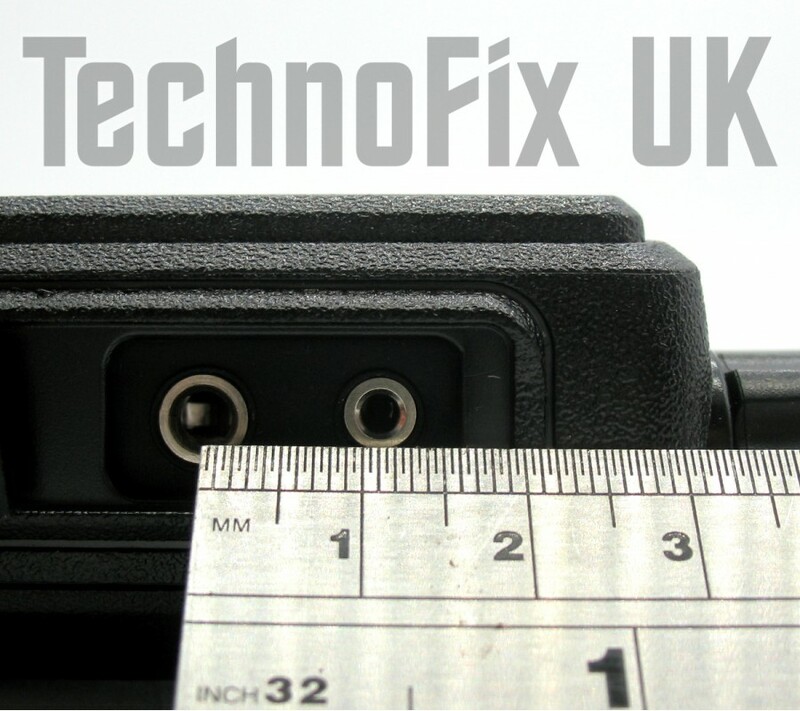 Pin spacing approx 11.5mm between the 3.5mm and 2.5mm jacks.